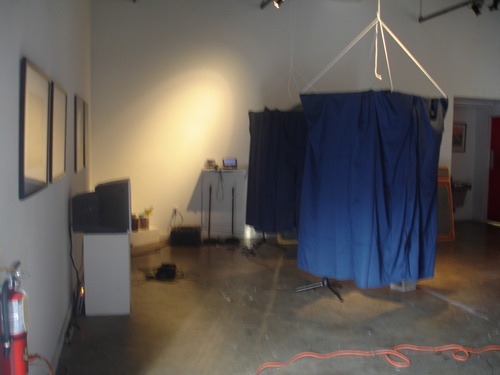 I was grateful to be asked to contribute an installation for the Twilight of the little boxes festival in 2008 at the Church of the Friendly Ghost. Over the span of twenty-four hours, people brought mix tapes to curator Aaron Mace, who played them and then mummified himself with the unwound tape. The show also featured performances by Josh Ronsen, Steve Marsh, Douglas Ferguson and 7 Inch Stitch. 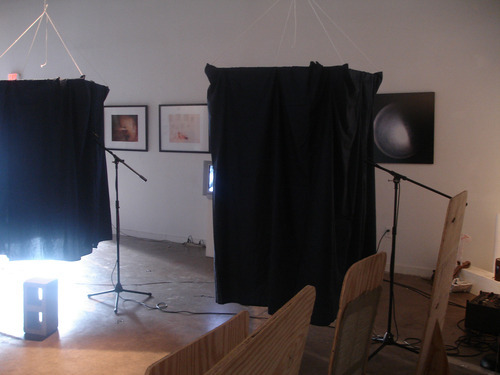 My piece, Confessional, consisted of two fabric booths dropped from the ceiling. Each one had a sign on it instructing the participant, Please confess something into the microphone inside. Confessional is a piece about divulging something personal, in solitude, to someone who will hear your confession at another time. 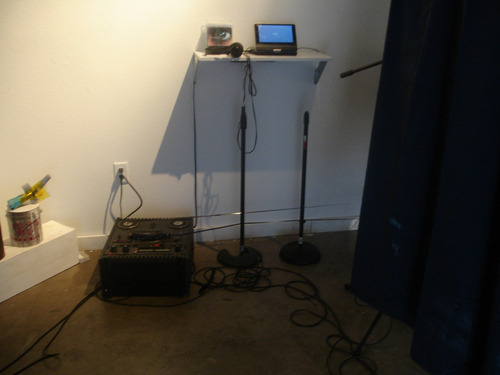 In this piece, the participant will approach the microphone and quietly confess something personal. 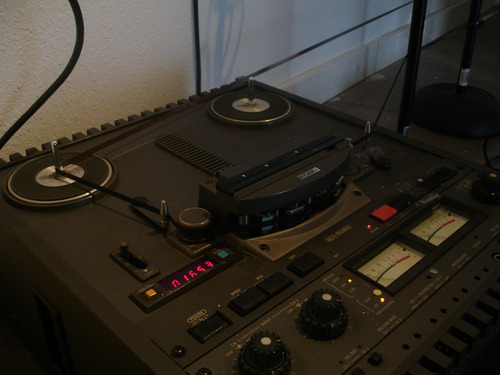 The confession is recorded onto a tape loop that will be played back without erasing what was recorded before. What will begin as a single voice will become a chorus of voices, drowning in murmurs, static, and noise. The participant can choose not to confess, and instead listen to the confessions of others.